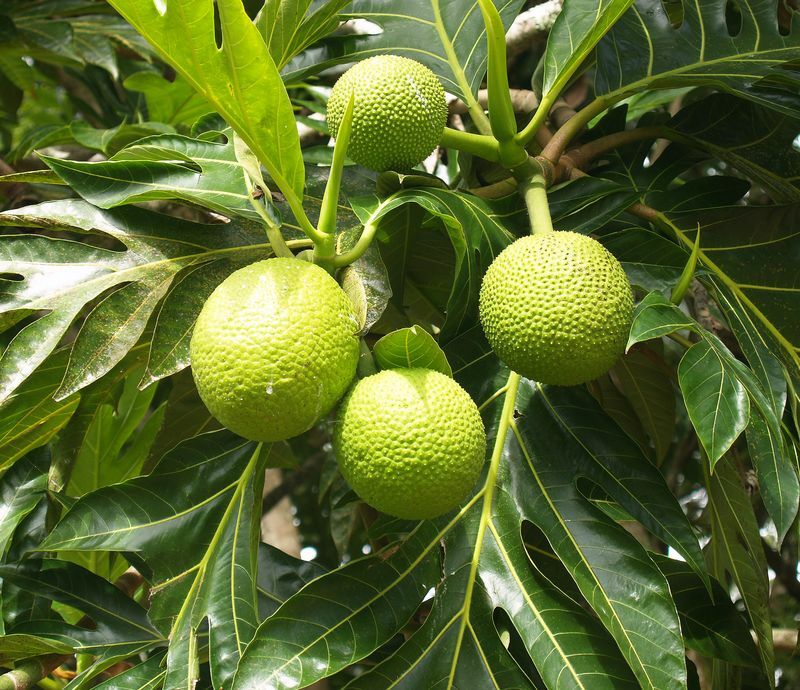 ʻUlu – The ʻUlu, or breadfuit, is a tree whose fruits are used for food. The wood of the ʻulu tree is used for surfboards, medicine, and poi pounding boards. ʻŌhiʻa lehua – The ʻōhiʻa lehua is a tree endemic to Hawaiian islands. Its hard wood is used for poles in house building, carving, and canoe building and its flowers are used for lei. 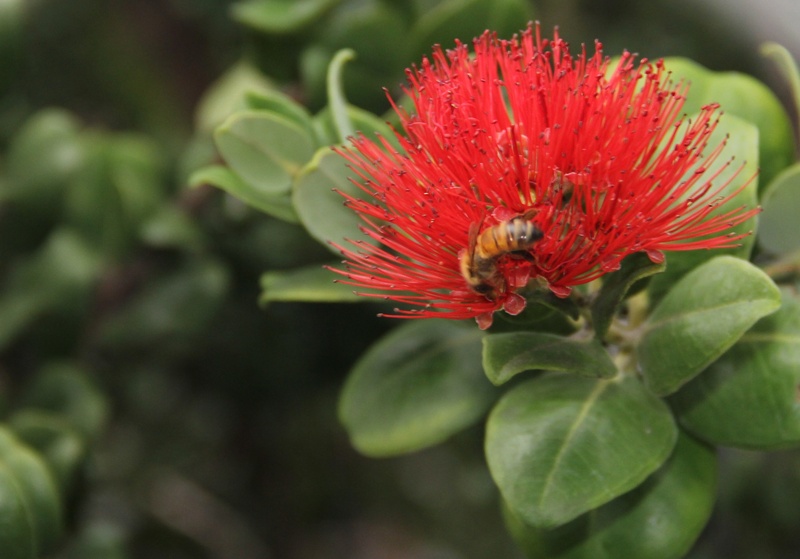 Lehua flowers come in a number of colors including red, pink, yellow, orange and white. Hau – The hau is a lowland tree that comes from the hibiscus family. In olden times, its wood was used for outriggers for canoes, its bast was used for rope and its sap and flowers were used for medicine. Kalo – Kalo, or taro, is the staple food of Hawaiʻi from ancient times. The cooked taro is pounded to make poi. 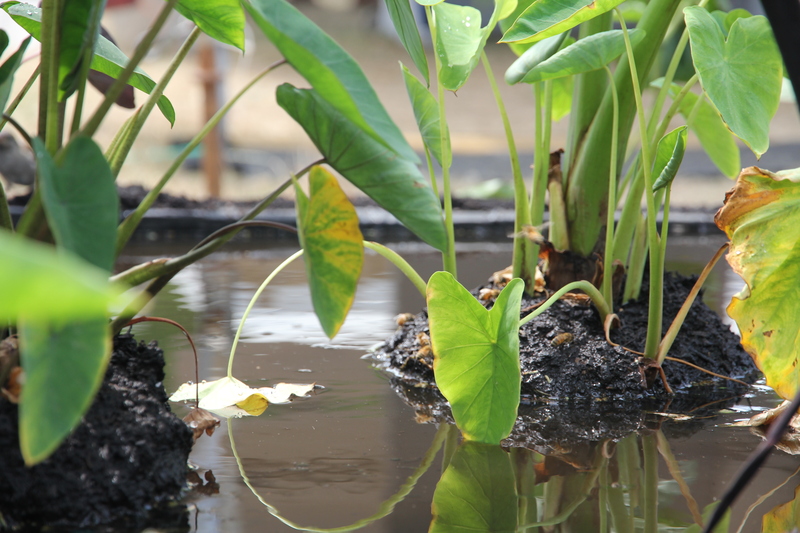 There are numerous varieties of kalo plant, and each part of the plant can be used for food. 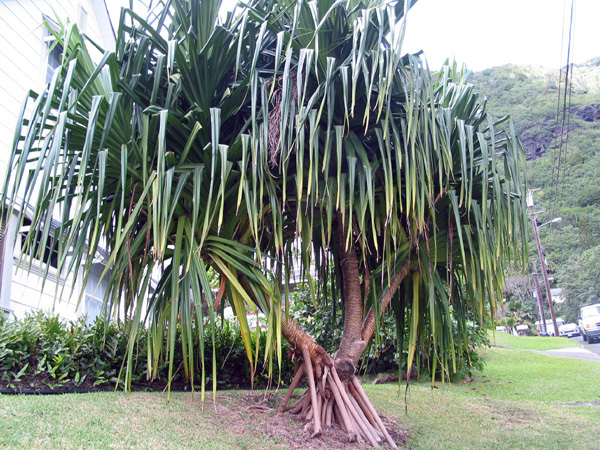 Hala – Hala, or pandanus, is a tree whose leaves are used to weave mats, hats, bags and other accessories. 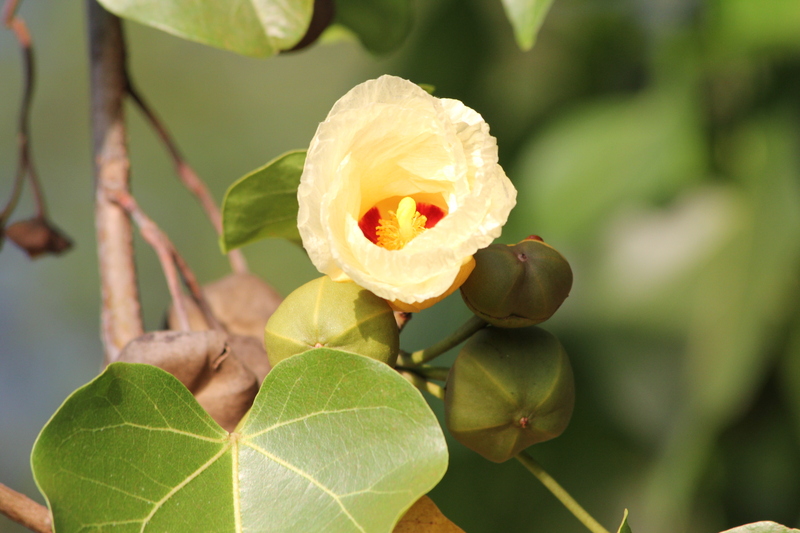 The fruits of the hala are used for food and brushes, and other parts of the tree are used for medicine. 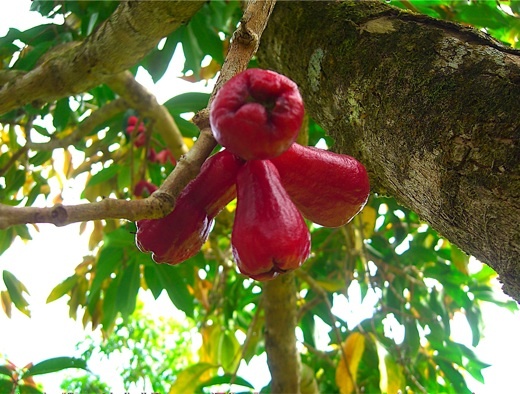 ‘Ōhi‘a ‘ai – The ‘ōhi‘a ‘ai, or mountain apple, is a tropical tree that often grows wild and is commonly found in shady mountain valleys. Various parts of the ‘ōhi‘a ‘ai were used traditionally; the strong wood from the trunk was used in house-building, roots and bark were used for dyes, and leaves and bark were used in various ways for medicinal purposes.